Viet graduated with a Bachelor of Dental Science from the University of Melbourne in 2011, and has worked as a dentist in private practice since this time. 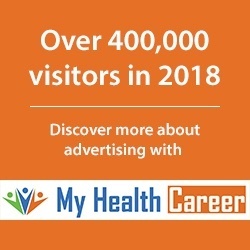 He is a passionate young health professional who is always offering patients the highest quality care as he is at the forefront of cutting edge dentistry. 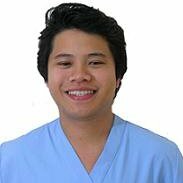 Viet is constantly updating his knowledge in his field, with particular interests in oral surgery and orthodontics. Viet completed his secondary schooling at Melbourne High School, achieving an ATAR of 99.70. In his spare time he enjoys travel, outdoor activities, fitness and sports. Is graduating and going into a high paying job in dentistry no longer a reality? William is a graduate of Brisbane State High School and completed his Bachelor of Dental Science at the University of Queensland in 2007. William is passionate about educating and advancing dental knowledge and is a teacher and researcher at the University of Queensland’s School of Dentistry. William enjoys and performs all facets of dentistry with a special interest in building up teeth that have been worn down as well as restoring dental implants as he enjoys returning the smiles patients had in their youth. William is happy to spend time educating and supporting anxious patients as he knows that the little things can help keep their smile beautiful. He has worked as a dentist in both metropolitan and rural settings. In 2012 became the President of the Cadmus Dental Society, which is a professional study group in Brisbane. In 2007, William developed an application for iPhones to enable dentists to quickly look up the prescription medications required to manage a patient’s oral disease or symptoms. He also completed a Graduate Certificate in Research Commercialisation in 2012. He is currently a Masters of Philosophy candidate in the area of Applied Dental Biomaterials. Click here to watch William’s videos about a career in dentistry.